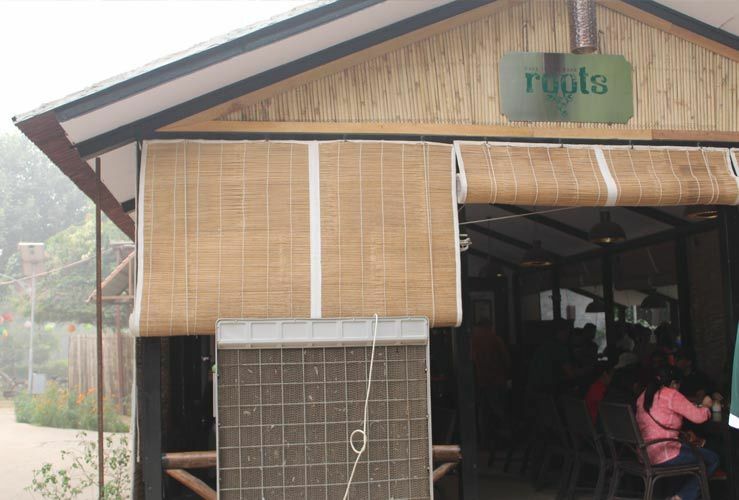 Guys, we’re back with another hidden gem *drum roll* - Roots- Café in the Park! 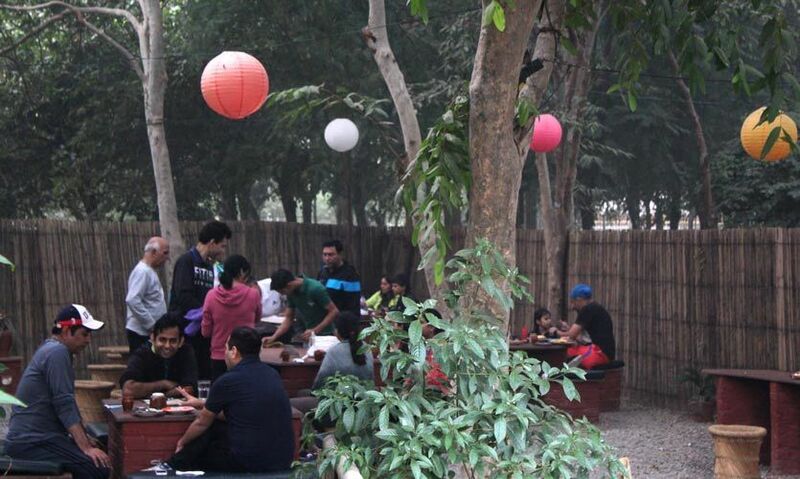 Tucked amidst the greenery of Rajiv Gandhi Renewable Energy Park is a cosy café with wooden blinds for walls. This shack-like café is by far our coolest find in Gurgaon, because they rely mostly on solar energy for their functioning, so we know finally some good will be achieved from all that hogging. The park is located right adjacent to the magnificent Kingdom of Dreams, so you guys won’t have any problem finding the place. We went here for a Sunday morning breakfast, but were pretty bummed to find a waiting of 45 minutes! The place is that crowded over the weekends. But lucky for us, there was a Farm Market pop up in the park, right outside the café, so time was easy to kill. If you guys visit the place and go through the same misery, you can always take a walk around the park or, since the park also has those free gym equipment as well, a workout before breakfast won’t hurt anyone we guess! The food here isn’t all that fancy, these are mostly dishes you can easily whip up in your house, but the prime selling point of this place is the location. The café has an outdoor and indoor seating area, and they are perfectly apt for both winters and summers, the giant coolers will keep you cool in summers and the outdoor area is obviously awesome for winters. We know this is the most staple breakfast item around the world, but a breakfast table without a grilled sandwich is hardly complete! The sandwich had basic ingredients like tomatoes, onions, cucumber and of course cheese, all sandwiched between two huge pieces of bread. The sandwich is pretty filling, and was our second favourite item on the menu for the sheer simplicity of the dish! Another basic item from the South Indian cuisine, this is probably the simplest thing which can be made in an Indian kitchen. Although the dish is very simple to make, yet it has beautiful flavours infused in it. 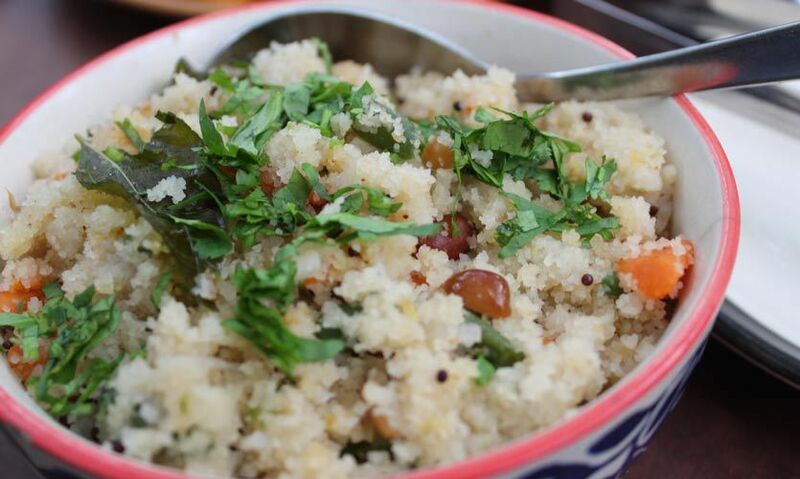 The upma we had here was missing salt as per our taste, but otherwise the dish was pretty decent - it had lots of veggies and coriander leaves and fried peanuts for that much-needed crunch. 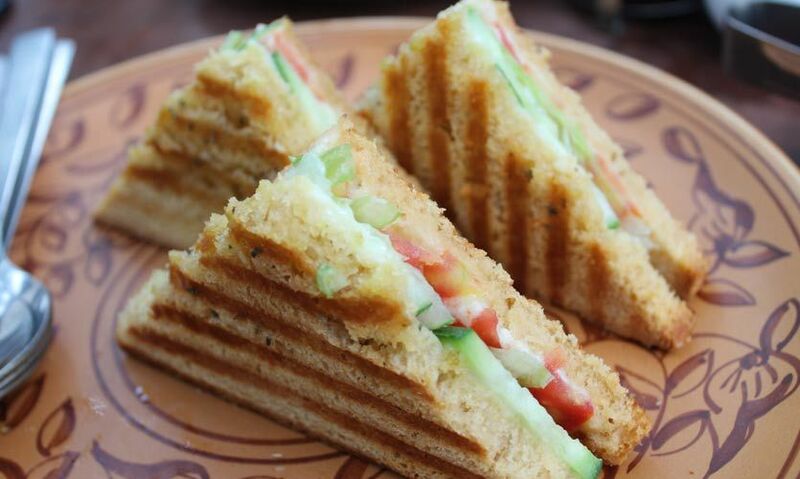 Let us clarify that there’s nothing political about this sandwich, and Mr. Arvind Kejriwal certainly has nothing to do with the dish! The dish was invented by Willingdon Club in Mumbai, who named this dish after one of their customers, Mr. Devi Prasad Kejriwal. 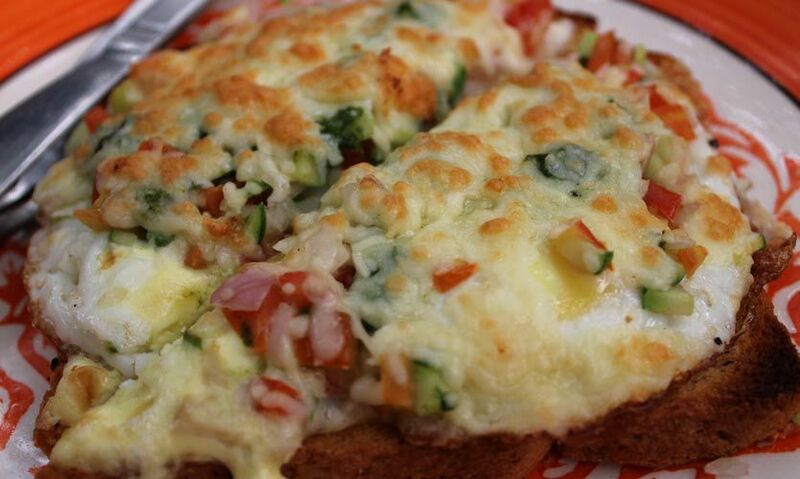 The dish is basically an egg toast with lots of veggies, butter and cheese. This was the dish we loved most on the menu, so much so that we went for seconds and we’re sure you would too. The runny egg yolk with bursting flavours atop of a crisp toast definitely brightened up our morning! 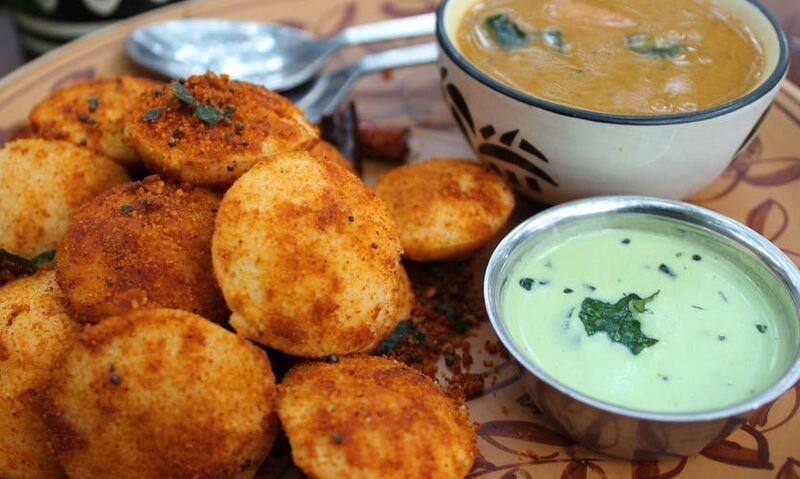 These were mini rava idlis fried in gunpowder and served with a generous portion of sambhar and coconut chutney. These little button idlis, although zesty and flavourful, were a little too spicy for our taste buds. However, you can always customise the taste according to your preferences! We love Nutella - we can probably wolf down a gallon of it, and still our heart won’t be content! So naturally, a big cup of Nutella Hot Chocolate on a cold breezy winter morning sounded like the best thing on this planet. 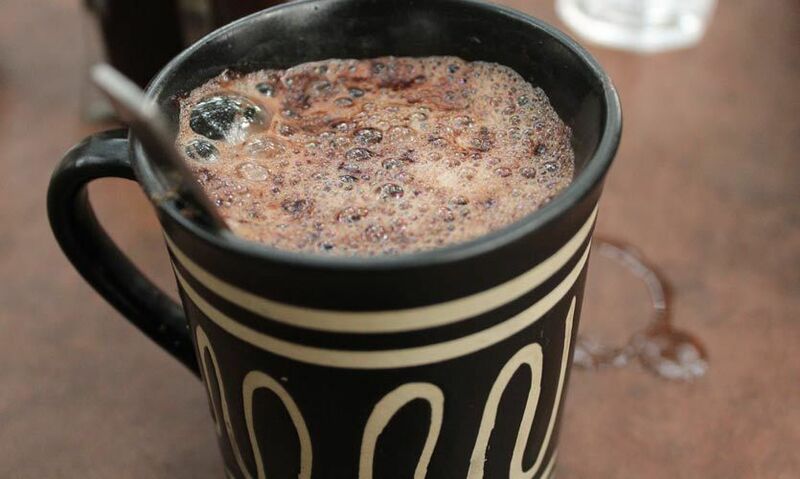 This cup of warm hazelnut happiness is definitely worth waking up early in the morning for and visiting this café. Winters are hardly a time to dial back on hot beverages; and so we also went for a Masala Chai to accompany our breakfast feast. 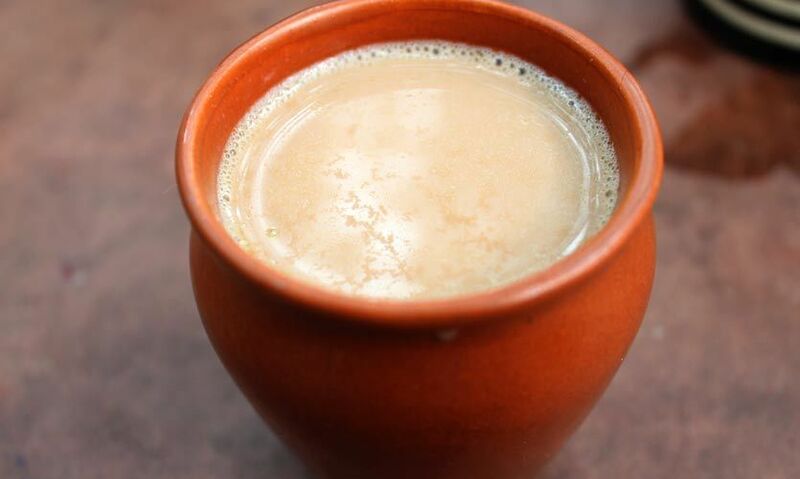 The Masala Chai came in an earthen glass and oh, the aroma of those Indian spices brewed together with black tea and just the right amount of milk will wake you up in a jiffy! 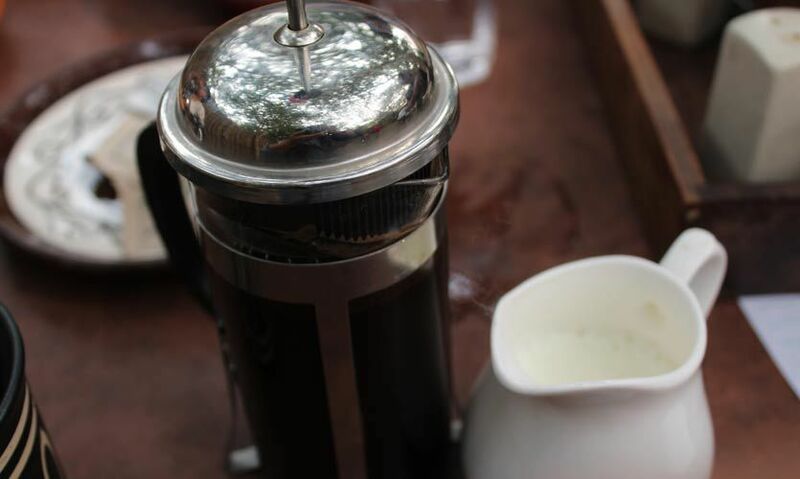 A coffee lover will love their rich French press coffee; dense and heavy which had its own sort of elegance. You can also go for their simple Nescafe coffee, because in the end, all of us are looking for a hot, delicious cup of coffee to see us through the day, but a little presentation isn’t hurting anyone. Simple pleasures of life! We guess we have already tempted you a lot so plan your Sunday brunch ASAP!